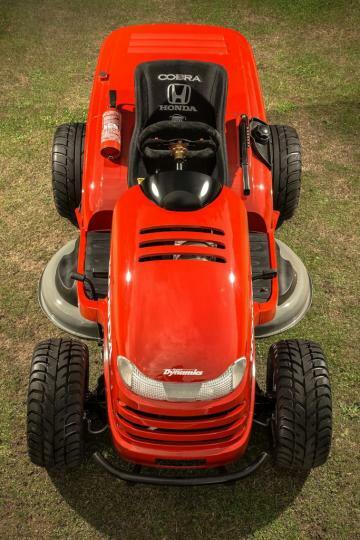 Anyone who ever said mowing the lawn wasn't fun obviously never cut their grass with the Honda Mean Mower. 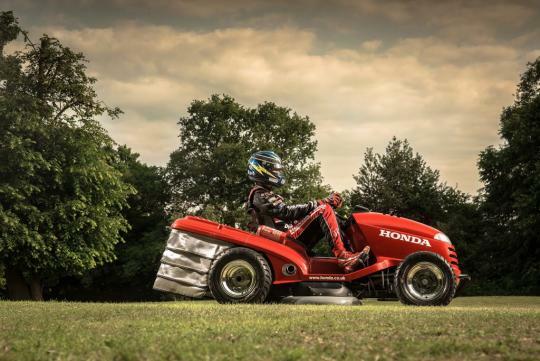 While they sourced the body from Honda's HF260 Lawn Tractor, this machine is all hot rod underneath. Power comes from a 1,000cc VTR Firestorm engine which produces 109bhp, roughly 100 more ponies than most of its lawn tractor brethrens. The best part - it'll hit 100km/h in just four seconds - fast enough to put most exotic full-sized autos to shame - and has an estimated top speed of 209km/h. To keep the whole thing legit, grass cutting remains the primary mission for this machine. 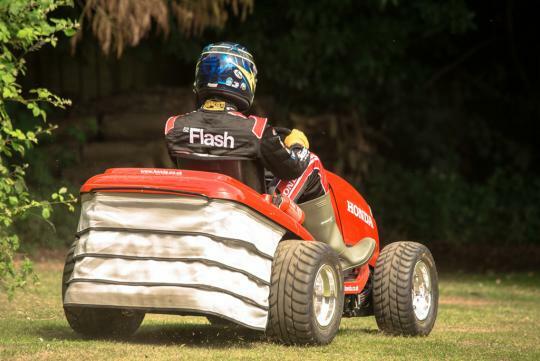 Yes it still cuts grass, but only at speeds up to 24km/h. But once the lawn has been carefully manicured, feel free to take it out on the track. Helmet is highly recommended. F1 style paddle shifters control the mower's six-speed gearbox driving the rear axle, while a Scorpion exhaust system notifies the neighbours of your presence. The steering rack is borrowed from a Morris Minor and a custom suspension unit as well as ATV wheels make manoeuvering about the shrubs and chicanes all that much smoother. 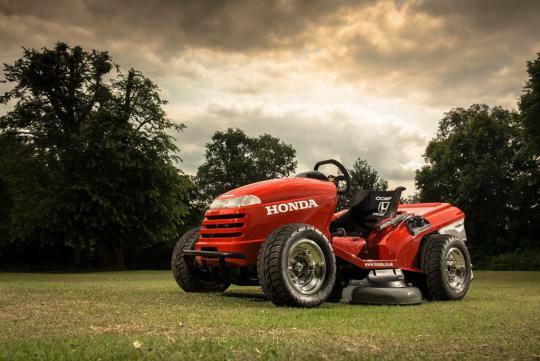 This Mean Mower will definitely make short work of any grass patch or field. 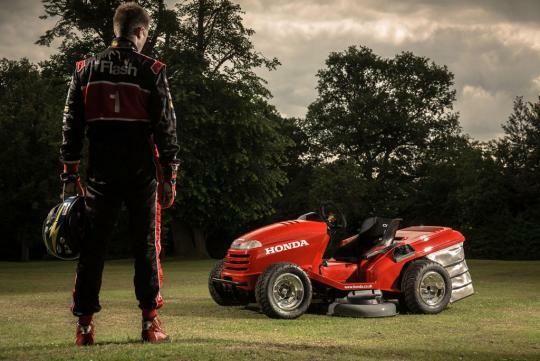 Watch the clip below of reigning BTCC champion Gordon 'Flash' Shedden mowing the lawn - in a mean way.